Are you experiencing transmission problems in Silver Spring, MD? Like most vehicle owners, you probably don’t think much about your transmission. If you own a vehicle with an automatic transmission, you probably don’t think about shifting between gears at all. Whether your vehicle is an automatic or a manual, the transmission is an extremely important component. If you think that something is even slightly wrong with your transmission, it’s a good idea to have it examined by transmission repair professionals before you are in need of car transmission repair. Superior Transmissions offers high-quality transmission service for motorists in Silver Spring, Bethesda, and Rockville MD. Since most transmission problems in Silver Spring, MD are similarly constructed, technicians tend to see a handful of problems fairly often. Here are a few common problems that could be plaguing your transmission. Low Fluid: Transmission fluid is essential for keeping your transmission clean and lubricated. If your fluid levels or low, your engine may seize up. A transmission technician can examine your transmission, identify any leaks, and patch them up right away. Jammed Clutch: The clutch is responsible for disengaging and re-engaging your transmission. If the clutch is jammed, you may notice considerable shaking throughout your vehicle. You might also notice a lack of response when attempting to shift gears. Odd Smells and Sounds: Leaking transmission fluid has a distinct sweet smell that’s similar to maple syrup. If the transmission fluid becomes overheated, you’ll likely detect a burning smell. As far as sounds go, grinding, whining, and clunking sounds are definitely caused by concern. 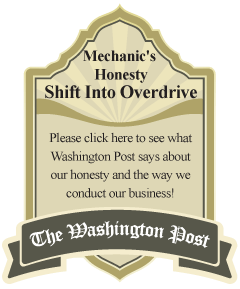 If there’s something wrong and you are experiencing transmission problems in Silver Spring, MD, be sure to take your vehicle to a shop that only services transmissions. Transmission repair involves a number of challenges that most general mechanics aren’t equipped to address. Computer Technology: Newer transmissions tend to be outfitted with computer technology. Unlike many mechanics, the experts at Superior Transmissions know the latest manual and automatic transmission repair techniques. Varied Construction: Though all transmissions operate on the same basic principle, each model’s transmission is built slightly differently. Fortunately, our technicians are familiar with the quirks of most foreign and domestic vehicles. Unique Parts: Even if a mechanic understands the fundamentals of transmission repair, there’s no guarantee that he’ll have the right parts. Since we specialize in transmission repair, there’s a much better chance that we have the necessary parts to complete your repairs. Superior Transmissions is dedicated to ensuring the safety of DC metro area drivers. If you’re looking for fast, effective, and affordable transmission service for you transmission problems in Silver Spring, Bethesda, and Rockville MD, call Superior Transmissions at (301) 587-0511.